Showing results for tags 'normal maps'. [Solved] Normal maps in Smart Materials ? Hi, I've recently been working on some 3D models for use in Unity, and I would like to paint textures with Smart Materials. For each texture that I wish to paint with, I have the albedo texture + a normal map. These normal maps work great in Unity, however I am unable to use them as a "depth" map in 3D-Coat. Is there a way to utilize these normal maps as depth maps? Normal map tangent basis issues. Hi everyone, I'm noticing some issues when it comes to importing normal maps baked in Xnormal. Notice that there are rendering artifacts? This artifacts do not appear in Substance painter nor do they appear in Unity 5.6. They render perfectly. In the preferences, I've checked to ensure that the Tangent Space Standard is set to MikkTSpace. 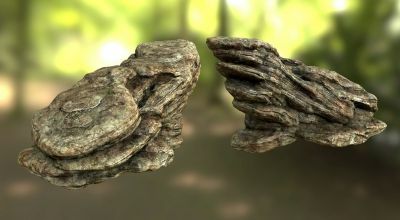 The normal map baked in 3D coat looks ok, thou. Am I missing something? I've ensured that the obj model is triangulated and is smoothed before exporting. Thanks for your time. Smart materials in PBR permenant? Hello 3D Coat! I've recently dove into PBR in general and I decided to go with 3D coat since I already own it and can directly upload to sketchfab. I've viewed some tutorials and I've decided to make my own smart materials to learn the workflow instead of using default ones. I've made some progress but one question I have is that there is the smart material preview window and while it is handy I like to use the paint bucket to fill an object so that it has whatever smart material I'm working on even outside the preview and I don't have to wait for it to render. However, it would appear that once you fill with the paint bucket it keeps the parameters of the smart material at the time and that even if you adjust them later it won't reflect the new ones. That's fine, as I suppose you just fill the area each time you want to update the material (and then use the preview window to view the material as you work on it). However, one thing I noticed is that normal maps seem to be "permanent". Here's an example of what I mean, I'm working on a rusty metal texture, and there is an edge scattering texture and a normal map to give a scattering of rusty and some bump so that the rust isn't flat. So there is the metal latch with the original texture, however if I paste a different smart material... The new material is applied but the rusty normal map remains! This is unlike any texturing program I've encountered as the texture seems to affect the object permanently, which definitely makes me hesitant to experiment and try new textures. Is this normal or is there a way to prevent this? I've seen the "fill with freeze" option in the paint bucket tool which has been suggested but I'm not sure what that does and all it seems to do is fill the area with a checkerboard texture. Ideally I'd like to be able to be able to work on smart materials within the preview window and fill each area when I'm happy with the results. Thank you for your time and please let me know if you know of a solution. 3D Coat Version 4 Tutorial Bundle Pack I- Over 28 Hours of Training!! Hey Guys, With 3D Coat Version 4 being released I've a created a super discounted 3D Coat Version 3 video training bundle. http://www.learn3dsoftware.com/3dc_version_3_complete_collection.htm It come with all 15 titles created in 3D Coat 3.5 to 3.7. Hours and hours of detailed training covering: Voxel Sculpting, Retopology, Autoretopology, Normal Maps, Displacement Maps, Color Maps, Painting with Photos, Paint Tools, Brushes, Alpha Brushes and full Project Based Tutorials. The Project Based Tutorials include: Dinosaur Detailing, Voxel Sculpting a Dragon, Elephant Detailing, Female Character Texturing and Sci-Fi Detailing a Space Fighter. The ultimate collection to get you started using this powerful piece of software. MOVING SALE!! All 3D Coat and other Video Tutorials $10 Each-Over 65 Titles! !